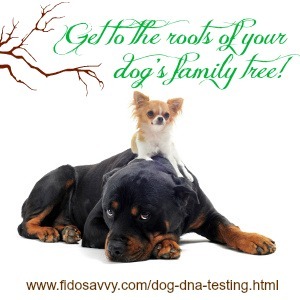 At home dog DNA testing is a quick and easy way to find out which breeds are in your pet's ancestry. DNA testing for dogs isn't a new process, but simple at-home test kits have only become available to pet owners fairly recently. Before these tests, it was impossible to know which breeds were in a mixed-breed puppy's family tree, unless you knew for a fact who his parents, grandparents and great-grandparents were. Of course, there's nothing wrong with the element of 'surprise! ', and you can have a lot of fun guessing where Fido's coat color, curly tail, short legs or long muzzle come from. All purebred dogs carry hereditary breed-specific health conditions and these can include hip-dysplasia, heart problems, eye problems, spinal issues, potential adverse reactions to medications/vaccines and more. Mixed breed pups inherit some combination of these from each parent. Knowing what health problems your puppy is predisposed to makes it easier to recognize and treat problems early. It also means you can be pro-active in preventing or minimizing his individual health risks. Individual breeds have been developed to play specific roles or do certain jobs. 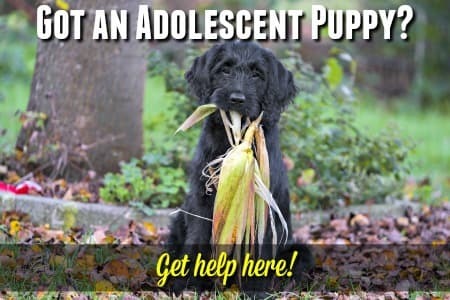 They have hard-wired instincts that make them fit these 'profiles' and in order to be sure that your pup gets the diet, exercise, stimulation and environment he needs to be happy - you need to know what those instincts are. Responsible breeders are always working towards producing the healthiest puppies they can, and minimizing inheritable diseases. Certain dog dna testing options are now available which take the guess-work out of this and ensure stronger, healthier bloodlines in the future. The at-home dog DNA tests featured on this page contain everything you need (including easy-to-follow instructions) to get a sample of your pet's dna and then mail it to the lab. Once your dog's dna (easy cheek-swab) sample reaches the laboratory it's compared to the appropriate database of breeds to determine which ones appear in parents, grand-parents and great-grandparents. A few weeks later you'll get email notification that your results are ready and available for you to study and download. It's just so quick and easy! Research has shown that this type of dog DNA testing has been 99% accurate in trials, but there is no guaranteed percentage given by the companies involved. This is partly due to the fact that the dna material supplied by owners isn't always of the best quality. So, in order to get the best possible dna sample from your dog, it's important to follow the instructions very closely. That way you'll be less likely to be sending an incomplete, or contaminated sample, which means a more 'spot on' result! 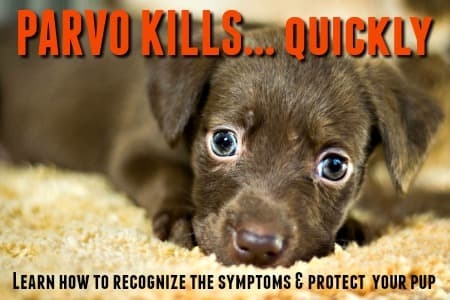 Some breeds (most often herding breeds and collies, including the popular GSD, Australian Shepherds and many more) are at risk of reacting badly to Ivermectin which is an ingredient in all medications used to prevent heartworm infestations. Other 'avermectins', some cancer treatment drugs, some pre-anesthetic drugs and even certain medications to treat diarrhea, vomiting or anxiety can trigger toxicity leading to complications, even potential death. This is serious stuff. You may have no real clues as to your mixed-breed pup's family tree, this means that any potential genetic/hereditary health issues are also an unknown quantity. MDR1 mutation is a condition that could potentially cause real problems so it makes sense to find out whether Fido has the gene mutation. 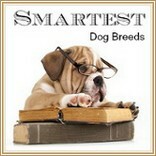 There are currently three good options for dog dna testing, each has their own pro's and con's. Picking the right dog dna test kit for you depends on what you want to learn about your dog, and how much you want to spend. Embark has only one dog DNA testing kit, but it is very comprehensive. Although it only tests for 150 different dog breeds, the health information it delivers is far superior to anything else on the market. Screens your dog for the genetic markers for virtually all canine hereditary conditions that testing is recommended for (to a total of 160+ diseases!). There are way too many to list here, but some of the ones you may recognize includes MDR1 (multi drug sensitivity), Hemophilia, Von Willebrands Disease, Congenital Hypothyroidism, Progressive Retinal Atrophy and Polycystic Kidney Disease. In the breed characteristics category, Embark DNA testing for dogs gives you information on adult size, optimal body weight, exercise and grooming needs, and behavioral tendencies based on the breed make up of your dog. You'll learn so much about Fido's ancestry and family tree, information which will help you to understand him better and keep him happier and healthier. Your test results take a little longer than average due to the comprehensive health screening, but are ready in 6 - 8 weeks. In addition to the test results you get a detailed veterinary report which you can share with your own vet to make sure your dog gets the specific care that he needs as he grows, matures, and ages. Finally, there's an option to have your dog's DNA added to the research material being used by Cornell University's College of Veterinary Medicine to further the study of canine health and genetics (Embark is partnered with these scientists). This is optional. Wisdom Panel (owned by Mars Veterinary) has three different dog dna test kit choices for dog owners, one for veterinarians and one for dog breeders. Most recent versions of these kits are more comprehensive than the earlier ones. The 3.0 kit tests for the genetic markers of one inhertitable condition, MDR1. The 4.0 kit tests for the genetic markers of two inheritable conditions MDR1 and Exercise-induced Collapse. These tests are licensed by Washing State University. Kits come with two swabs (useful if you mess up the first try) and will replace any swabs which arrive damaged. Results are available in as little as two or three weeks. Wisdom Panel Dog DNA tests are mid range. More expensive than DNA My Dog and less expensive than Embark. Tests for MDR1 (multiple drug sensitivity gene). Wolf/Coyote detection. Adult weight predictor. Tests for MDR1 (multiple drug sensitivity gene) and exercise-induced collapse. *Available only from manufacturers' website. An individual Ancestry Report which shows the most significant breeds in your dog's ancestry and give you breed-specific information on each one. You also get a lovely family tree certificate that you can display in a frame, or just keep for future reference. The test kit from DNAmydog is less comprehensive than either Embark or Wisdom Panel, in both breed information and health screening. Tests for 84 different dog breeds, the fewer the breeds tested for the less accurate your dog's family tree is likely to be. There is no testing done for genetic mutation or genetic markers for hereditary diseases. 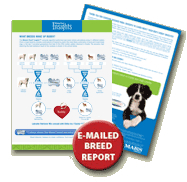 Information on the potential health problems your dog may have is based on the results of the breeds found to be in his ancestry, not on his individual genetic make up. Results are quicker as the tests are less comprehensive, usually taking about 2 weeks. In addition to the test results on breed and breed-specific health issues, you also get a certificate with a photo of your dog and his unique DNA composition. 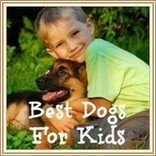 Of the three dog dna testing options on this page, dnamydog is the least expensive. Researching your dog's ancestry, heritage, health and behavioral traits isn't just fun, it can have a lasting impact on his overall health and well being.